2800mm Duplex Board Paper Making Machine is used for making high quality duplex paper with wood pulp or waste paper pulp. There are some questions for you to introduce our duplex cardboard paper machinery. What is the suitable raw material of Duplex Board Paper Making Machine? What kind of finished product Duplex Board Paper Making Machine produces? Duplex Cardboard Paper, Carton board testliner duplex, fluting/corrugated paper, etc. 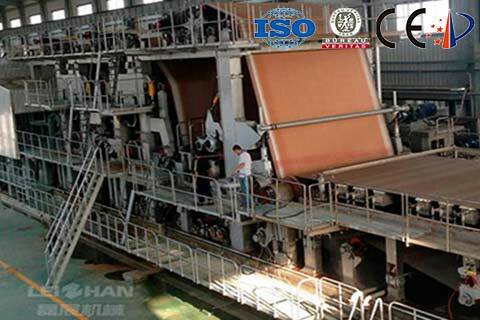 2800mm Duplex Board Paper Making Machine manufactured by Leizhan is of superior quality, good performance and high efficient. If you are interested in any of our products, please feel free to contact us for further details.